Everything you need to know about fighting, preventing, and beating cancer, detoxifying, feeling better, and living longer ...from 40 leading health experts. ORDER BEFORE MIDNIGHT SUNDAY FOR SPECIAL 60% SAVINGS! Complete DVD set of every presentation plus lifetime digital access so you can watch the videos online or download to your computer. "Cliff's Notes" book with the key insights from every presentation for quick reference. You get a printed book and digital PDF version. Audio MP3s of every presentation that you can download and listen to in the car, or on your computer, phone, or tablet. 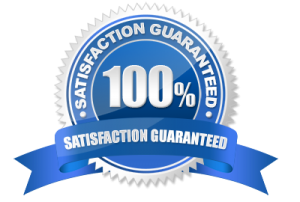 No-risk, hassle-free, 100% money-back guarantee for 90 DAYS! Wow! What a jam-packed, life-saving, 3-day weekend we just finished at The Truth About Cancer® Live 2017! Hi, Ty & Charlene Bollinger here. And we're just blown away. We had more than 40 amazing cancer experts and natural health specialists reveal their latest breakthroughs and therapies to beat, treat and prevent cancer. Plus, we’re hearing from courageous cancer survivors who followed these treatments … and were healed! The information they shared changed the lives of countless people … and gave them hope for a cure. And that truth is: There are MANY different ways to prevent and beat cancer. And it’s our hope that you found a treatment or learned about a natural therapy that could help you or a loved one. What if you missed a cancer therapy that could save your life or the life of someone you love? It’s a math problem really. We had more than 40 experts speaking over three days. And we had nine breakout sessions with three speakers each session! There’s just NO WAY you could attend every presentation. In fact, even if you watched all day, every day, you’re still missing more than half the speakers. Perhaps you had to make a tough choice when two speakers you really wanted to hear were scheduled for the same time. That can be so frustrating … the uncertainty of not knowing if you’re missing something vital and life-saving in a presentation you just can’t get to. And I know you were watching from the comfort of your home. But let’s face it, even if you had every intention of watching the whole event for 8 hours every day, life gets in the way. Kids had a soccer game. An urgent errand came up. A phone call you just had to take. A neighbor stopped by. So it’s not surprising if you had to jump in and out of the livestream. But let me ask you... are you wondering if maybe you missed a cancer therapy that could save your life or the life of someone you love? Perhaps you were able to hear Dr. Veronique Desaulniers' presentation Thursday afternoon, Never Fear Breast Cancer Again. But if you did, then you would have missed Dr. Darrell Wolfe’s, The Tumor Time Bomb. Or maybe, you wanted to see Dr. Tony Jimenez’s talk Friday morning on Treating Cancer with Sound and Light, but had to miss health experts, KC & Monica Craichy’s excellent presentation on Superfood Nutrition and Cancer Prevention. You faced impossible must-see choices all weekend long. But we knew that would happen. That’s why we sent an army of professional videographers into every single room to capture and record every minute of every presentation. Now you can go back and see it all! Every presentation, every speaker, every BIG moment and every life-saving revelation. As I said, you’ll get the complete set of DVDs of every presentation to watch in the comfort of your own home or office. Now you can fill in the blanks from the sessions you missed, and also go back and re-watch your favorite moments over again at any time. You’ll also get digital access to watch the entire event online. So you can watch anywhere from your desktop, laptop, tablet or mobile phone. Along with the recordings of ALL the presentations, you’ll also get exclusive access to “behind the scenes” interviews with many of our experts. You won’t hear these interviews anywhere else but on The Truth About Cancer® LIVE 2017 recording set. So I urge you to lock-in your special order price and save 50%! Listen, I know how frustrating it can be to listen to an excellent speaker and scribble notes fast and furiously to try and catch every idea. Unfortunately, there’s always something you miss. So we decided to ease that note-taking burden for you. We hired professional note takers to sit in on every session to take detailed notes for you. Using their skill, they captured all of the important insights, breakthroughs and therapies to help you beat, treat and prevent cancer. Then we compiled all of their brilliant notes on every presentation into one concise, valuable volume for easy reference. It’s called Key Insights into Healing and Preventing Cancer. This one book alone can save you hundreds of hours as you try to find a natural therapy or treatment to heal your cancer … or as you try to understand what causes cancer and the simple steps you can take today to prevent cancer from happening to you or your loved ones. And it’s yours as a special FREE bonus when you order the complete The Truth About Cancer® LIVE 2017 recording set. So don’t wait. Order your DVD and digital set NOW at 50% OFF!. With this special offer, you won’t have to miss a single life-changing presentation from LIVE 2017. Now you can watch and hear and read about the little-known natural therapies, treatments and protocols to heal and prevent cancer... when you want ... where you want. 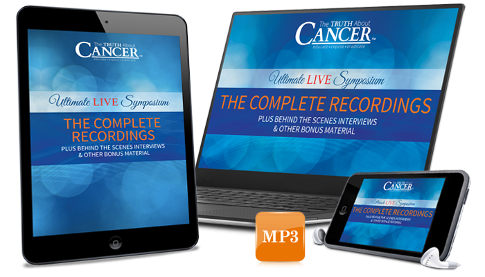 With these professional LIVE 2017 recordings at your fingertips – along with the Key Insights BONUS GIFT – you never have to wonder if you may have missed a cancer therapy that could have healed you or a loved one. And here’s where you can really make a difference in the life of someone you care about. You can share these vital recordings with friends and family who may be struggling with their own cancer diagnosis and need to know of the many ways to heal cancer beyond surgery, chemo or radiation. Or, you can share with loved ones who are looking for the simple steps they can take today to make sure cancer never enters their lives. Having these recordings in your home is not only a great cancer-fighting resource for you… but by sharing and caring you can help our mission at The Truth About Cancer® to educate people about the many different ways to prevent and heal cancer… and even eradicate it from our lives. Help End Cancer Once and For All! We would not be able to carry on our mission at The Truth About Cancer® and our growing movement to end cancer once and for all … without you. Your passion, your purpose, your personal mission to regain your own health, or the health of a loved one -- that’s what keeps this mission going. Take on traditional media, medicine and methods about the underlying causes of cancer and the many ways to heal and prevent cancer naturally – without surgery, chemotherapy or radiation. Over the last couple of years we’ve been blessed with support from people like you, from all walks of life and from all around the world. We’re truly grateful that you’re a part of our two million STRONG and growing community! In fact, The Truth About Cancer® has given more than $500,000 to these charities in the past two years, and our goal is to donate another $250,000 in 2017. And YOU deserve all the praise and gratitude for making that happen! Because together, we are pushing forward to a cancer-free world. Lifetime Digital Package: Digital Recordings and Key Insights eBook! Own 24/7 lifetime digital/download access to the video recordings of every presentation… plus your FREE BONUS eBook, Key Insights into Healing and Preventing Cancer! DVDs, with Key Insights Print Book! Own the complete DVD set of every presentation, plus your FREE BONUS print copy of The Key Insights into Healing and Preventing Cancer mailed to you anywhere in the world. Ultimate Combo Package: DVDs and Digital Recordings, Print and EBook! Own the complete DVD set and lifetime digital access to every presentation, plus your FREE BONUS print and eBook copy of The Key Insights into Healing and Preventing Cancer! Whichever option you choose above, every order today also includes the complete MP3 audio recordings of the event, that you can take with you in the car … to the gym … wherever you go … so you can listen and learn anytime you want. You will receive another special bonus! Complete digital access to last year's inaugural event The Truth About Cancer's 2016 Ultimate Live Symposium – FREE! If you don’t discover one natural therapy, treatment or protocol to help you beat, treat or prevent cancer in The Truth About Cancer® 2017 LIVE recording set … or you’re unhappy with your recordings for any reason … then simply return it for a full and complete refund. Please keep the MP3 Audio recordings and the Key Insights eBook as our gift. My Personal 100% Risk-FREE Promise to You! … could be THE MOST important health resource you’ll ever own. That’s why I urge you to take advantage of this special 50% OFF pricing. And I don’t want you to risk a single penny. So if for ANY reason you’re not completely delighted with The Truth About Cancer® LIVE 2017 DVD recordings – just let me know and I’ll refund every penny. No questions asked. And I’ll give you 90 days to make sure you’re good. That’s 90 days to learn and discover your own path to healing. Please don’t wait a moment longer to order! If you don’t discover one natural therapy, treatment or protocol to help you beat, treat or prevent cancer in The Truth About Cancer® 2017 LIVE recording set … or you’re unhappy with your recordings for whatever reasons … then simply return it for a full and complete refund. Cancer has become THE scourge of the 21st century, with other diseases like Alzheimer’s and heart disease (mentioned in several of our sessions) not far behind. And the choices you make each and every day shape your health and vitality. OR, a long life, full of energy and vitality. As my friend Dr. Robert Scott Bell likes to say, "The Power to Heal is Within You." Now you have full understanding of all the choices available to you and are therefore self-empowered to make the better choices for yourself, versus putting yourself at the “mercy” of Big Pharma and the mainstream medical establishment. I urge you to take me up on this offer of owning the complete recordings of The Truth About Cancer® LIVE 2017 with today’s very special offer –- but keep in mind, this offer will end soon, and the prices on the recordings will be raised. Take advantage of this amazing price and place your order now. Also remember… every single copy of these recordings we sell today will directly help us in our mission, so on behalf of all the other people you are helping with your order, THANK YOU.